If there is one sentence that could be drafted to summarise our Office Manager, it would read something like this . . . “What Dee Gardner understands about property administration is akin to what Warren Buffet is to investing”. 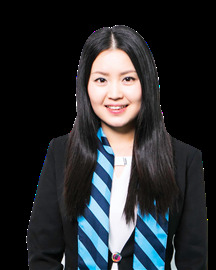 Having spent years passionately engaged in the real estate / property industry has provided Dee the opportunity to understand at a very detailed level the many facets and intricacies of the property industry both from a practical and technical level. Her support and growth over the years has seen her profile within the company grow to such an extent that she is sought out by all team members on a daily basis enhancing and empowering the team to seek ever loftier goals knowing that they have excellent support and backing to succeed. Needless to say, Dee is viewed as a key team player within the company. Married for 20 years and with two children she is also passionate about her immediate and extended family and is hugely supportive of their growth and success. 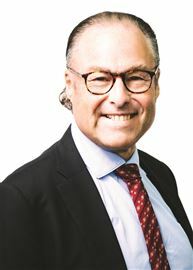 Having spent the last 20 years within the Real Estate Industry Les has definitely developed a wealth of experience in the industry, which has been an excellent enabler for him to develop further his career and those around him. 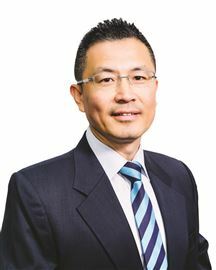 From marketing, auctioning and selling properties to establishing and developing a substantial property management company and personal property portfolio, has ideally positioned Les to establish a separate independent sales company as well to further extend the numerous services that he and his team are able to provide. Recently completing an Executive MBA degree at Auckland University, Les has added yet another dynamic to his experience of empowering his team to continually deliver outstanding results through exceptional client service yet seek out new opportunities for personal growth to drive the team success even higher. People deal with people, people buy from people and the underlying theme here is that we need to be the best that we can be to ensure that we remain true to our personal hallmarks of trust, integrity and honesty and this Kaizen principle is a key driver for Les and his team. 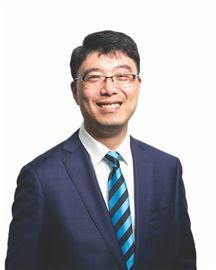 Married with three sons, two of whom also work in the businesses and the third perhaps destined to follow the sibling trend, and his wife as Accounts Director, he enjoys family time (away from the business), travel and a good biography when time allows. INTRODUCING AJEET PAL BUTTAR! Ajeet is an experienced IT Technician, who progressed through the industry to hold senior and managerial roles. 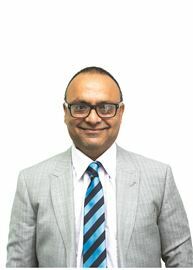 Throughout this time, Ajeet found his strength to be in relationship management and conflict resolution, ensuring his customer's interests were always put first. 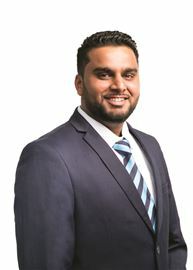 Ajeet has now transferred these skills into real estate and is a skilful and experienced negotiator. Ajeet lives locally and is available to help both vendors and purchasers will all their real estate needs. 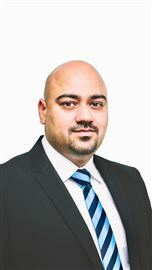 Please contact Ajeet anytime to find out how he can help you achieve the best result when selling your property. In 1988 I took up the challenge, left a Legal Office and joined the Real Estate Industry. My commitment to you is to provide a professional service with honesty, integrity and a willingness to go the “extra mile” to achieve results. I love the people contact in this business and have made many good friends over the years. 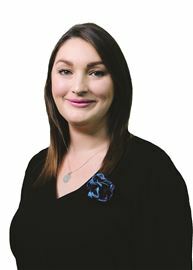 I am based in the Harcourts Flat Bush Office and earned an excellent reputation across Auckland specializing in residential real estate marketing and sales. With Harcourts for over 29 years, I am a highly motivated and customer-focused real estate professional who is passionate about assisting my clients to achieve their property goals. A large percentage of my business now comes from past clients and referrals. 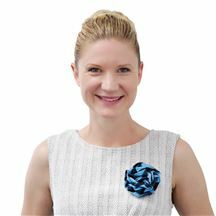 With extensive experience and an impressive track record of success in the industry, outstanding market knowledge, and superb communication, relationship-building and negotiating skills - all underpinned by the Harcourts brand, systems and support - Anne is the real estate professional you should choose! “My personal objective is to focus on my client's needs with enthusiasm, a positive outlook and a willingness to go the ‘extra mile’ to achieve the right result, whilst providing you with the service you deserve”. Ash, a Post Grad in Hospitality Sector with more than 14 years of experience in New Zealand and overseas, decided that it was a time for career change. 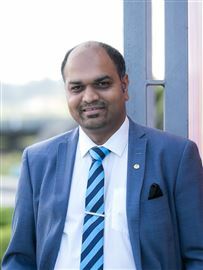 Ash immigrated to New Zealand in 2004 and is a proud and loving family man with a lovely wife Jayanti and their daughter Charvi of whom he is very proud. Ash’s professional background combined with the strengths of his personality give him the perfect tools to be successful in real estate. “Ash is a smart hardworking, reliable salesperson with positive attitude. He is totally committed to his clients and he believes that if you are true to yourself and your clients, the results will follow”. If you are thinking of buying or selling, and are looking for an enthusiastic salesperson who will go the extra mile to give you the best results in a shortest time frame using creative technology, forward thinking social media and lead generation systems– contact Ash. “Bringing you a more professional service” Being a family man with a growing family Brandon’s goal is to provide the best life he can for his family and to do this he provides the best and most professional service to his customers and clients. Selling properties for top dollar and helping families into homes that they otherwise thought was impossible is a by-product of being a person first and an agent second. His personal care and professional processes allow him and his team to get top results again and again. His personal and professional approach is one that clients are taking advantage of more and more each year evidenced by his repeat clients over the past 8 years, leading him to go from a single man band to an award winning team. If you are after a personal and professional service then give Brandon a call. 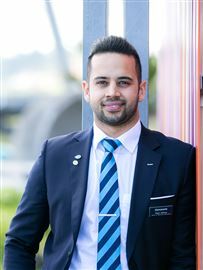 Hardeep Singh is hard working, dedicated and passionate Harcourts Sales Consultant. He is confident, committed and focus to achieve outstanding results for his clients. Hardeep has come from the background of hospitality and customer service so he definitely understands that top service is paramount, he has the ability to understand customer’s requirements in depth and provide effective solutions. Hardeep believes that good presentation and good promotion for a property is the right equation to achieve outstanding results for his clients. Always prepared to find the right property for buyers. Hardeep has Graduated in Maths and Economics and Graduated in Business Studies and Major in Sale and Marketing. Hardeep is happily married and has her support along with being blessed with a daughter. 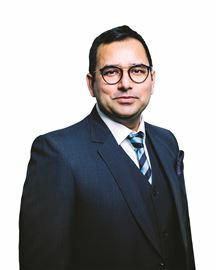 Harsh believes that trust is the most important element in the relationship between the client and the agent, so you can feel confident that he will listen carefully to your needs and support you through any tough decisions you may encounter during the process. He is adept at managing his schedule in order to be there for the most important moments. Harshagun is an optimistic person who believes in full transparency. He is able to approach each sale with an open mind and respect for others’ perspectives. He will be up front and honest about the specific use of your marketing budget and consult with you before taking any action. 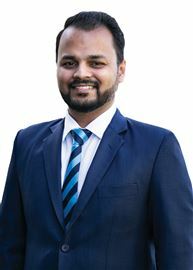 Real estate is a way of life for Harshagun, and he prides himself on going the extra mile for each and every client. All of Mr. Kathuria’s new and recurring clients are assured: •	An agent with a strong client-centered focus and hospitality experience. •	Open communication and respect for the needs of his clients. •	Personalised services that show a deep understanding of the unique needs of each property. •	Clear guidance around the pros and cons of investment choices for marketing, home staging, purchasing, financing, etc. •	A comprehensive and easily understood marketing plan to attract the best potential buyers. •	Access to great listings that meet your specific needs. •	A personal guarantee that you will receive your agent’s full attention, interest, and involvement throughout the entire buying or selling process. With the New Zealand real estate market continuing to heat up, you need a highly reputable agent on your side. Harshagun Kathuria is this and so much more. Call him today for an agent who is stubborn when it comes to achieving the goals for his clients, and flexible when it comes to the methods for achieving them. Wynn is young, passionate and driven to succeed. She believes her journey is about a venture, crafting her own path embracing the risk of all challenges. 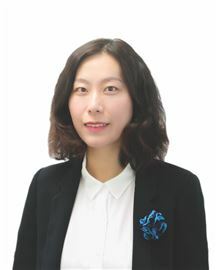 Wynn is constantly learning and finding inspiration, attentive to detail and perfectionist by character will assist her job as a real estate agent. Wynne guarantees her services to you will be professional, adaptable and honest. To establish a relationship with her clients making the selling/buying process enjoyable. Wynn understands the importance of marketing, communication and culture work hand in hand. Being bought up in New Zealand as a Chinese kiwi means a great understanding of your area. The ability to speak 3 different languages bring along more diverse customer networks. Networks Wynn works closely with ADL Group. ADL Group is a company based in the building industry, split into a range of divisions from new builds to supply and install of insulations. ADL GROUP Installs division is one of the biggest installers of Pink batts Insulation in Auckland, working with both new build residential housing to old existing housing/rental properties and even commercial. We know our stuff! Being in the game ourselves gives us the advantage to be communicating to clients on the same level, to be able to advise as well and give quotations to our customers will put us a step in front of others. We deal with over 1000 developers or clients within the property industry, having close contact with one another providing ongoing services means we've built close relationships with them. Our close partnership with ADL Group means we will be providing you with a broader marketing channel, and create more awareness and viewers to your property. House or land listed with me will create a faster and efficient exposure with a higher selling potential. Land listings will be a hit for our developers. Real Estate Professionals with Family Values at the Core. We know that our clients want to deal with consultants that have knowledge, expertise, honesty and integrity, and are committed to achieving the best possible result for them. Above all they want to deal with real people - that's why we put absolute focus on creating a relationship of trust and respect with all our clients. We've found that this philosophy is great for achieving personal satisfaction, high morale and continued success. - Kiri & Brandon, your real estate team. -------------------------------------------------- WHAT MY CLIENTS SAY "I have dealt with Brandon and Kiri on many occasions, both buying and selling. I can personally vouch for both their effectiveness and professionalism. Their knowledge of the industry is noteworthy. Combined with a great work ethic, they have a great recipe for success. I can wholeheartedly recommend them to anyone looking for excellent agents, whether buying or selling. I wish them every success in the years ahead." - Chris Hamann. "I sold my property in Favona with Brandon and Kiri and found dealing with them to be of the highest standard. Both were excellent with their communication and gave me constant feedback from the market throughout the process. We sold within 3 weeks of listing the property at a price I was more than happy with. I will sell with them again in a heartbeat." - Aaron Bancroft. 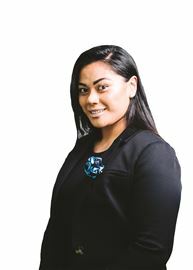 "I was looking for professionalism and presentation when searching for Real Estate Agents to sell my home in East Tamaki Heights. Kiri and Brandon are exactly that. Professionals at their work and able to present themselves in a confident manner and still maintain that human touch. They listened to my ideas and gave me sound advice and kept me informed on a daily basis of all the activity that was happening with the sale. My home sold within nine days of being marketed by Kiri and Brandon much to my delight. They just made the whole process seem so smooth. I am so happy with the service that Kiri and Brandon provided. They interact very well together and work so well as a team. They are vibrant and exude energy and it is clear to see that they are a young couple who love helping people. Thank you Kiri and Brandon for your professionalism. I will have no hesitation in calling on you if ever I need to in the future." - Joanne Forgie. "Once we started to think it was time to sell our home, we contacted four different real estate agencies to have a discussion about our options. After we’d met with Kiri & Brandon, we simply knew they would be the ones to sell our home. They had confidence in their ability to sell at auction despite the “doom and gloom” predictions that had started to appear in the news. Their knowledge about the area, the market, and contacts they had then gave us the confidence to jump into a marketing campaign wholeheartedly. They provided sound advice to help get our home ready for photographs and constantly kept in touch with developments. Since it was the first home we’d sold, we had plenty of questions which they were always happy to answer. The result they helped us to achieve allowed us to pursue our dreams. We would absolutely recommend this duo to help you sell your home!" - Shaun & Melissa Watt. "We would be very happy to recommend Kiri and Brandon to anyone looking for help with selling their property. Kiri and Brandon sold our apartment within 3 weeks, thanks to their area knowledge and knowledge of the property market. We found them to be professional in their approach and their presentation and punctuality was impeccable. Although this was probably not the easiest of sales, they demonstrated their confidence and people skills in all negotiations. We also found them to be readily available and would keep in touch regularly, demonstrating their commitment to us as their valued clients. We wish them both well in their chosen career." - Derek & Janet Jackson. ➖ ➖Visual STORYTELLER ➖ ➖ #surrealist #minimalist #environmentalist "Less is more"
Serious seller wants it sold! Best buy in this area! Sell is the only Option ! Buy 1 or 2 - Decide Quick! Home & Income! Be Quick! Owners Are On The Clock! Vendor says "SELL IT !!" Home & Income or Develop! Long Term Owners Say Sell! I Need a New Owner NOW!